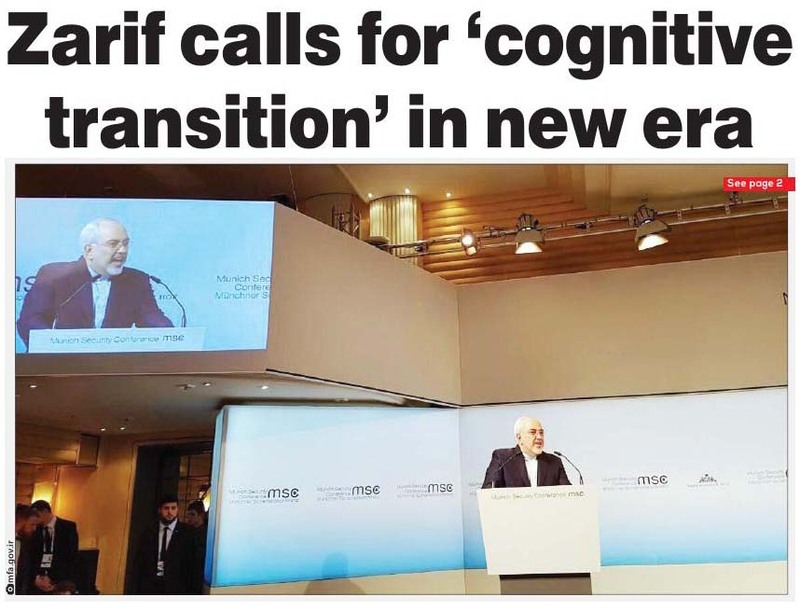 Iranian Foreign Minister Javad Zarif has said his country rejects threats and coercion and seeks diplomatic solutions based on "mutually acceptable scenarios." 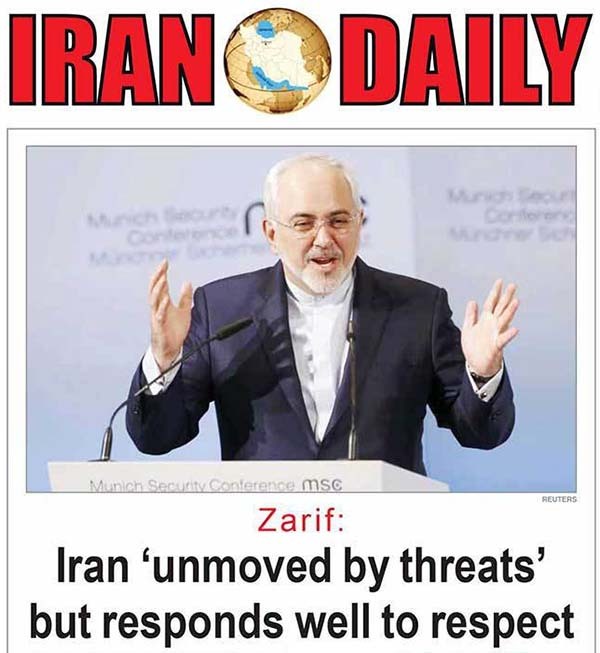 Speaking at the Munich Security Conference on February 19, Zarif rejected U.S. sanctions and a recent announcement by U.S. President Donald Trump that Iran had been "put on notice" over a recent ballistic-missile test. "Iran does not respond well to threats," Zarif said. "We don't respond well to coercion. We don't respond well to sanctions, but we respond very well to mutual respect." Zarif also accused militants of the Islamic State (IS) terrorist group of possessing chemical weapons in Syria, adding that "the use of chemical weapons can never be condoned." The United States has imposed targeted sanctions against 18 Syrian government officials after an international probe found that Syrian government forces carried out chlorine-gas attacks against civilians. Russia and Iran are the main supporters of Syrian President Bashar al-Assad in the country's 6-year-old civil war, which has left some 300,000 people dead and millions displaced.